We are doing something new this year! 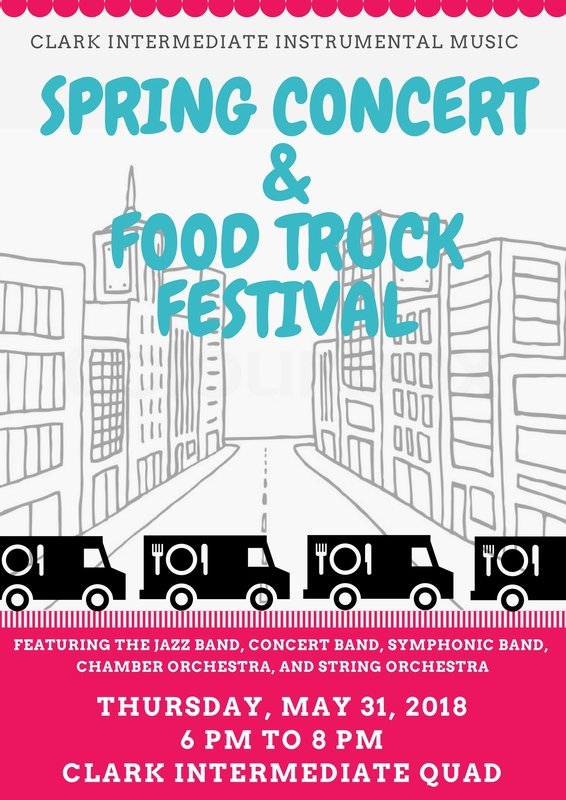 Our Spring Concert on May 31st will be on Clark’s campus and we will be inviting food vendors to come out and make it a fun event for the family. 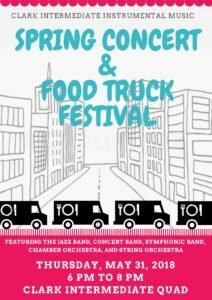 Performances will take place outside in the quad and we will feature every one of our performing ensembles.